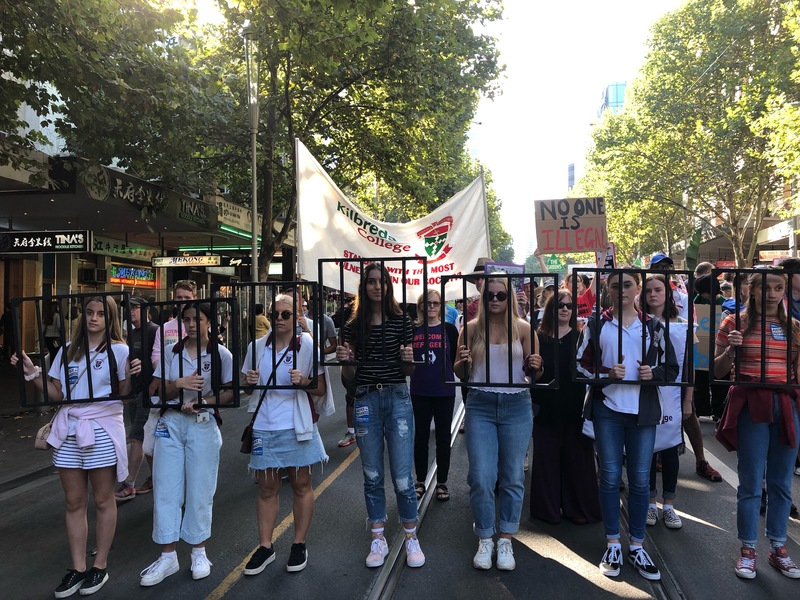 On Palm Sunday, Kilbreda College Mentone students and staff led the 2019 Walk for Refugees through Melbourne streets, with students holding ‘gates’ that represented the ‘prison bars’ of the camps where refugees are currently being detained. 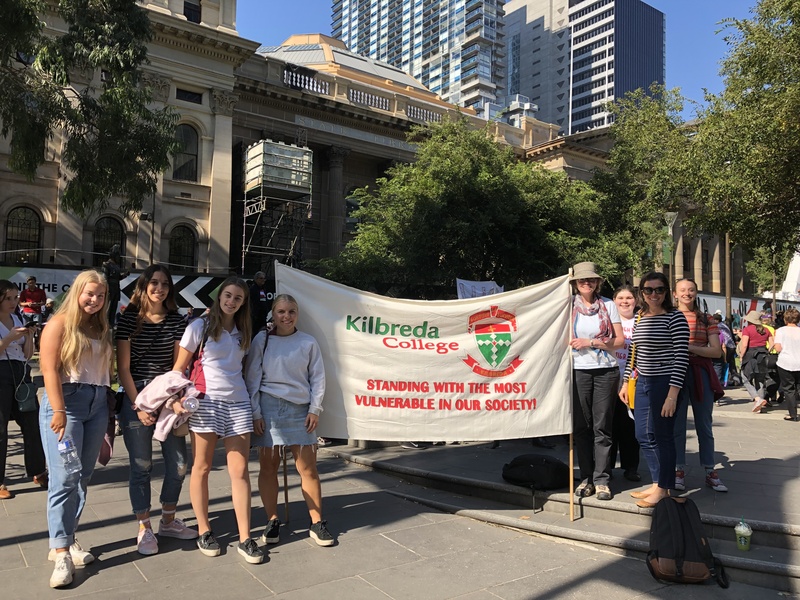 A KIlbeda staff member wrote: “The Walk was preceded by speakers calling on all Australians to show love, mercy, compassion and justice to those who seek to start a new life here in Australia. 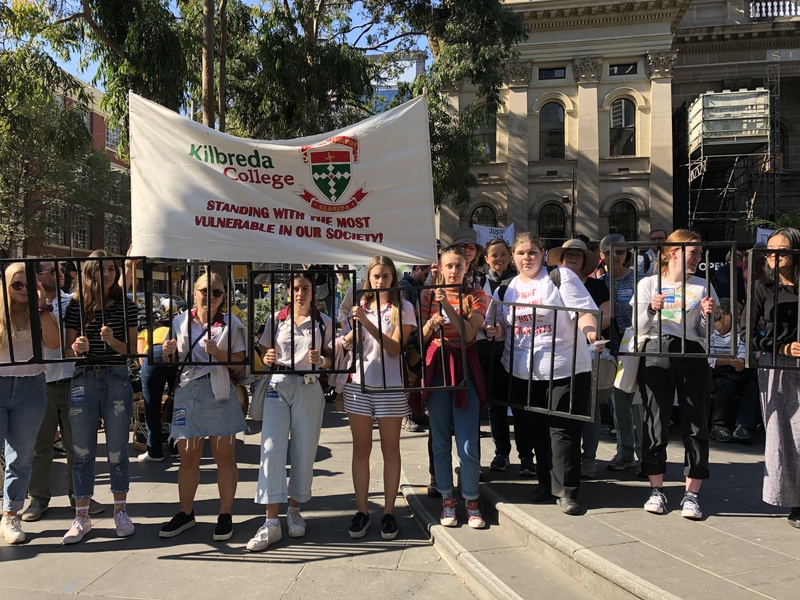 In the run up to the federal election, the speakers wanted politicians of all parties to know that we want a fair society that welcomes refugees. 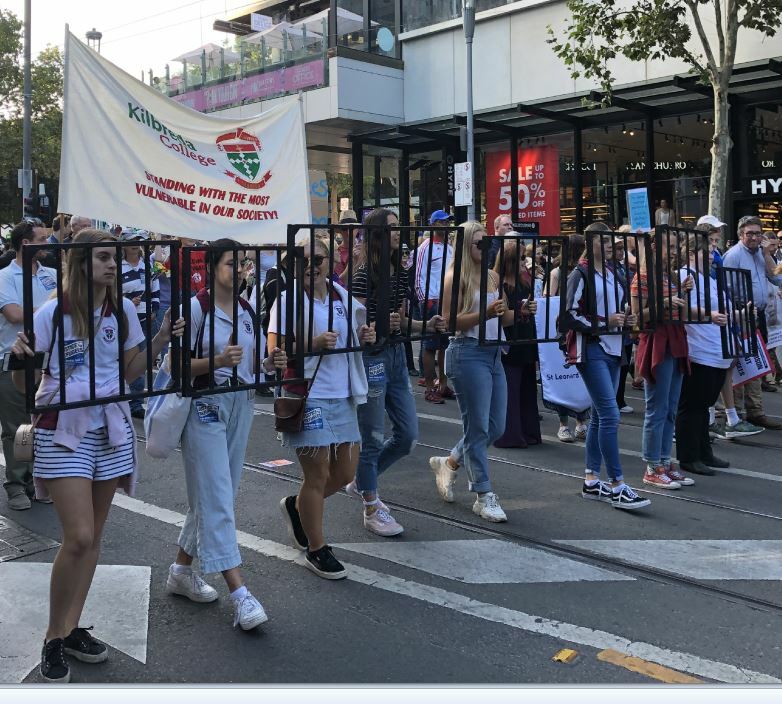 Placards were carried and flags waved to draw the attention of those watching The Walk from the footpath”.